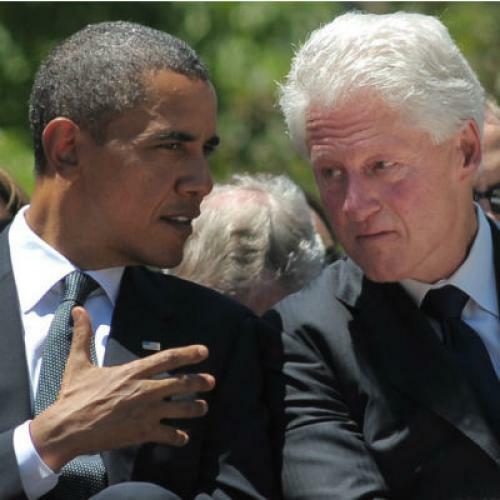 By all accounts, Bill Clinton’s full-throated (and long-winded defense) of the president clearly served Obama well. After regaining composure following the thrill that jolted up his leg, Republican and former Romney strategist Alex Castellanos asserted that the Clinton speech “will probably be the moment that reelected Obama.” That’s a little bold—and I’ll caution a large bounce later—but there’s no question that Clinton is the perfect surrogate for Obama. At a time when the public increasingly doubts Obama’s ability to manage the economy, Clinton is perhaps the only figure with the credibility and stature necessary to reassure the public about Obama’s economic agenda. But Clinton is also a perfect compliment to the president’s demographic weaknesses among white voters without a college degree. Consider these two maps. The first map shows the 2008 presidential election, with the counties won by Obama in blue and McCain in red. Most are accustomed to the contours of the Obama coalition (postgraduates, minorities, etc.) and it’s easy to see their impression on the map. Obama carried the diverse and well-educated post-industrial metropolitan areas along the coasts and in the Midwest, the arch of African-American counties across the rural southeast, the large Latino population along the Rio Grande and across New Mexico, the Native American reservations that dot the northern plains, the moderate rural voters of New England and the upper Midwest, and the liberal enclaves of the interior west (notice the blue of Jackson Hole, Sun Valley, Park City, and the ski resorts dotted along the spine of the Colorado Rockies). Meanwhile, McCain swept the predominantly white countryside and the affluent suburbs ringing southern and midwestern metropolitan areas (notice that Dallas is just a single blue county ringed by red, while the coastal cites are blue splotches). Now consider another map. It looks about the same, but it’s not even the results of a presidential election. It’s actually the difference between Obama’s performance in 2008 and Clinton’s in 1996. In the blue areas, Obama did better than Clinton; while in the red areas Clinton did better than Obama. The similarity between the ’08 results and the Clinton-Obama comparison tells you something simple: Obama did better than Clinton among the core elements of the “new Democratic” coalition—well-educated voters, African Americans, and Latinos (they have grown as a share of the electorate, even though Obama didn't win a much larger amount), but much worse among conservative, rural white voters. Obama is poised to maintain most of these gains among African Americans, Latinos, and college educated white voters, but polls show that his reelection chances are endangered by losses among white voters without a college degree. Many of these voters haven’t yet resolved to vote for Romney, but they’re disappointed by Obama’s performance, particularly on the economy. But these voters, of course, are Clinton’s relative strength. Nearly all of the white voters without a college degree that Obama could plausibly persuade like Clinton and may have even voted for him in 1996. When you add Clinton's staggering personal popularity, it's hard to construct a better surrogate on the president's behalf: A figure of stature who retains immense credibility on the issue that endangers the president's reelection chances with the voters who may well decide his fate. And it doesn't hurt that he gave a good speech.